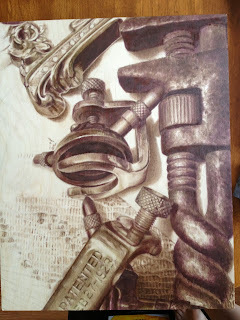 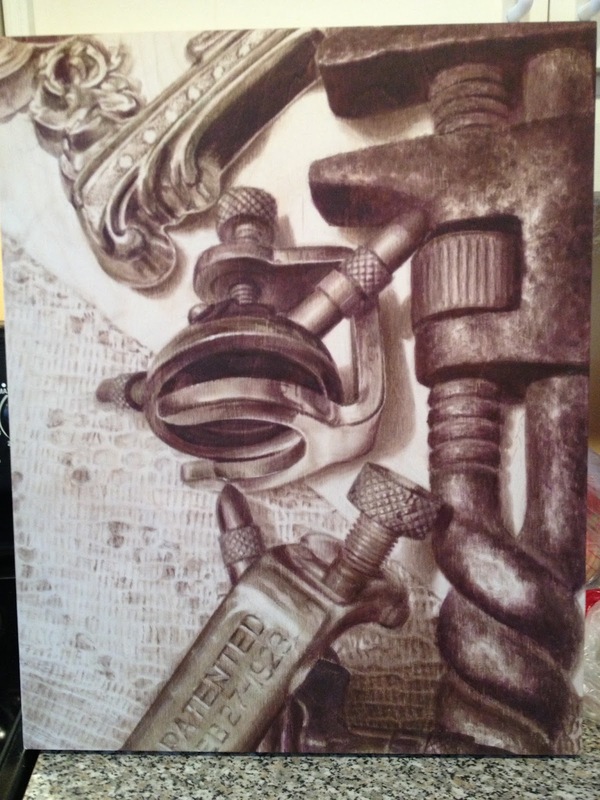 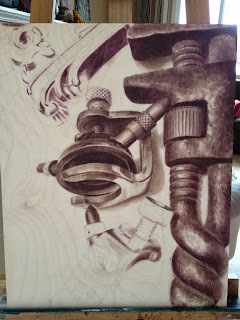 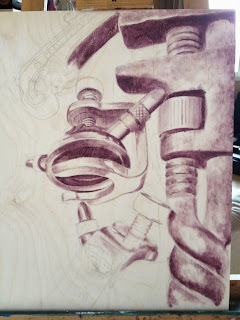 Amy Gaulin: Process for painting "Possessions"
The progress of this wood stain painting; done with just my finger, a sock, and wood stain. 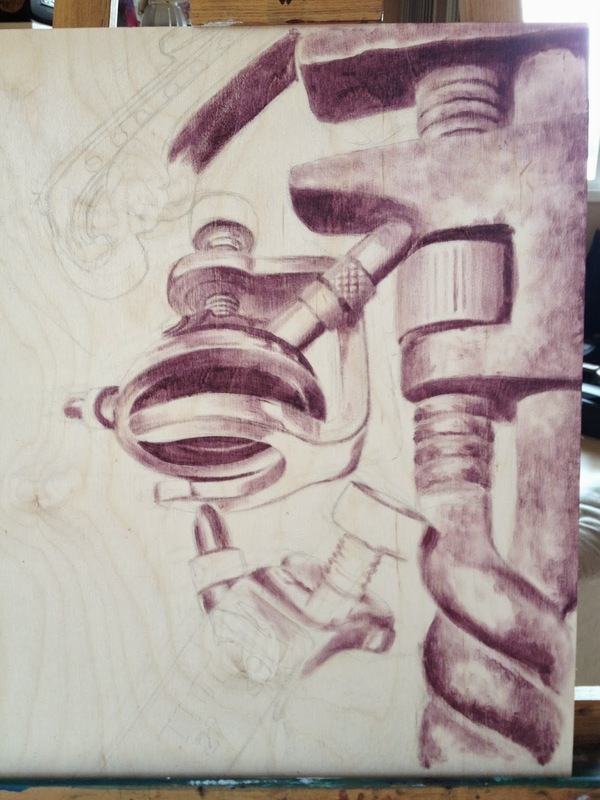 I started out applying just burgundy wood stain, then began adding olive green. 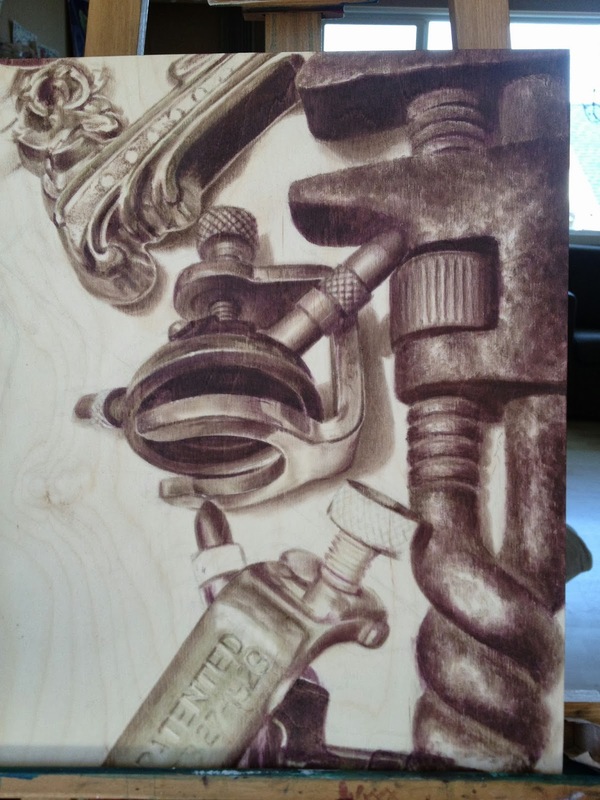 At this point, I started adding a brown wood stain for the rest of the detail and to even out the colours.